Barter Books : Marshall, A J : Bower-Birds. 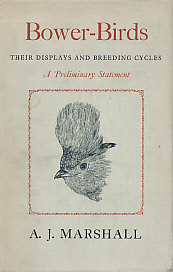 Their Displays and Breeding Cycles. A Preliminary Statement. Signed copy. Maps, plates and line drawings. 240 x 150 mm (9 x 6 inches) - 208pp + plates. 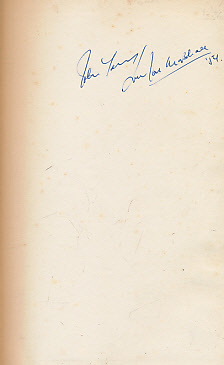 Inscribed and signed by author on fep.